The word “mission” is defined as, a) a group or committee of persons sent to a foreign country to conduct negotiations, establish relations, provide scientific and technical assistance, or the like; b) the business with which such a group is charged; c) any important task or duty that is assigned, allotted, or self-imposed: Our mission is to find the child a safe home; d) an important goal or purpose that is accompanied by strong conviction; a calling or vocation: She has finally found her mission in life; e) a sending or being sent for some duty or purpose. The Greek word is ἡ ἀποστολή – apostolē, which is derived from two words meaning “send from.” One can also notice the similarity to the word “apostle.” This is because the Apostles were sent out into all the world by our Saviour to preach the Gospel to all creation. Another word used in Greek is ἡ ἱεραποστολή – hierapostolē, which means “a holy mission”, to differentiate it from a secular mission. The mission of the Church is to execute the command given by Christ: “Go ye ... and teach all nations, baptizing them in the name of the Father, and of the Son, and of the Holy Spirit: Teaching them to observe all things whatsoever I have commanded you.” (Matt. 28:19-20). The word “mission” is also used to describe a group of faithful who gather for prayer, who in certain instances do not have a permanent priest or in some instances do not have a church building. Some missions have a permanent church building but no permanent priest and they are served by a priest periodically. The faithful of such missions usually gather for prayer regularly without a priest and say what are know as “Readers’ Services.” Some missions have both a church building and a permanent priest but are referred to as a mission because of the small number of faithful who attend services there. A mission is usually the beginning stage of a parish. In such instances there is a grey area in what is considered a parish and what is considered a mission. It was these clergy and laity who preserved Orthodoxy in Greece in this situation for eleven years when, in 1935, three Metropolitans of the State Church decided to stand up for Orthodoxy and return to its Traditions. At this time they found around 800 communities of Genuine Orthodox Christians throughout Greece. The Eparchy of the Church of the G.O.C. of Greece in North and South America has an organized hierarchy and dozens of clergy, parishes, and missions. However, North and South America is not an historically Orthodox land with a longstanding Orthodox culture. It is therefore our mission to missionize this land. It was through small communities which we would now call missions that the Gospel spread throughout the Graeco-Roman world in the first century of Christendom, it was through similar communities that Orthodoxy was preserved in Greece for the first eleven years after the calendar innovation, and it is through missions that Genuine Orthodoxy is being spread throughout North and South America in the 21st century. Our Lord, God and Saviour Jesus Christ has told us: “The harvest truly is great, but the labourers are few: pray ye therefore the Lord of the harvest, that he would send forth labourers into his harvest.” (Luke 10:2). 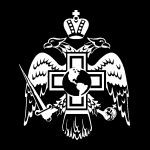 Below, please find profiles of some of the missions throughout the Church of the Genuine Orthodox Christians of America, as well as information about missions in general.